New Patients Receive a FREE Examination! *Dogs & Cats only. New clients only. Limit one coupon per client. Sign-up using the form or call us at 706-654-4838. 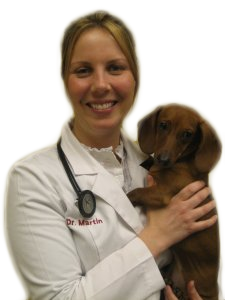 Veterinarian, Dr. Tiffany Martin and our team at Traditions Animal Hospital are committed to practicing the highest quality veterinary medicine that ensures the best possible care for your pet. We strive to exceed the expectations of our clients with exceptional service and thorough client education. Also, we are constantly developing our team to be the best animal care providers by providing frequent continuing education. Opened in Hoschton, Ga in 2007, we are a small animal hospital that focuses on establishing a long-term relationship with you and your pet. Our compassionate team goes above and beyond to make your pet's veterinary experience as comfortable as possible. We take our time with your pet and give lots of treats to form a positive association with coming to our animal hospital. In addition to providing standard medical, surgical, and dental veterinary care, we also have an in-house pharmacy, in-house lab, digital radiology, and Intensive Care Unit that makes our facility a premier source for your pet's medical care. We are in Hoschton, Georgia (Jackson County), conveniently located within minutes for the residents of Jefferson, Ga, Braselton, Ga, Hoschton, Ga, Pendergrass, Ga, Winder, Ga, Hall County and Barrow County. Our facility is at the intersection of HWY 124 and HWY 332 adjacent to the new Publix shopping center and CVS pharmacy. Click here for directions. "I just want to THANK EVERYONE at Traditions Animal Hospital for ALL you do for me and my fur babies. Dr. Martin is so honest and helpful with my cats. She and her staff have seen me thru good and bad times. I am so happy to have her as our Vet."